Completing the process now is easy - simply fill in the form below, add your images via Dropbox.com and we'll take care of the rest! If you have any questions, call us on 027 292 0396 and we'll be delighted to answer them. This listing is best described as an Online Brochure or a One Page Website. The images will be placed on a slideshow above your company details so make sure they are relevant and that they best represent what you want to promote. NB. 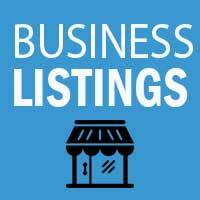 We require you to choose one Main Category and up to three Sub-categories for your listing. If you find that you would like to list under more than one Main Category, simply complete the submission form twice (the second and subsequent Main Category listings are half price - now that's even greater value!